At The Game - What's Happening? We have a packed schedule of activities on offer for supporters of all ages at our match day. Throughout the season there’ll be different off-field activities. 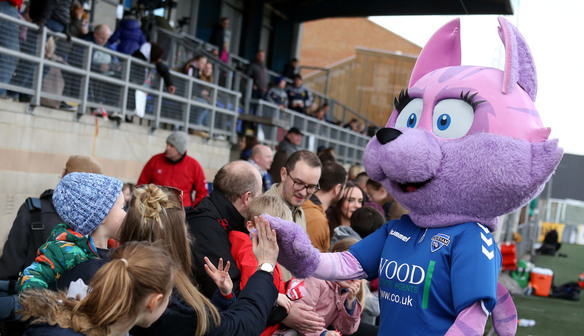 Our mascot Candy roams around the ground and would like to invite groups of all ages for a pre-match selfie - the best ones might even get featured in the next game’s programme! A number of other activities are also taking place before the game and at half-time. 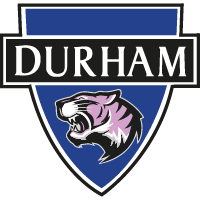 Stay tuned to our Twitter account (@DurhamWFC) in the days before a game to see what’s coming up. A DJ/Compere will also be present at every game. 2 hours before kick-off: Our pre-match Skills Session kicks-off, allowing junior players the chance to play on the pitch! Visit our home page for details of how to sign-up. 1 hour before kick-off - The turnstiles open and fans can enter the ground. Merchandise, refreshments and programmes will also be on sale, while team news will be released on our social media channels. 45 minutes before kick-off - The teams will begin their warm-ups. 30 minutes before kick-off - Team news will be revealed via the PA, while the atmosphere will be beginning to build. 10 minutes before kick-off - The teams will head back into the dressing room. Perfect opportunity for you to pick your seat or spot to watch the game from! Half-Time - Refreshments will be on sale while we'll have an activity ongoing on the pitch - head to our twitter page (@DurhamWFC) to find out what, as this alternates game-to-game! Full-Time - After their post-match team talk, the players will be happy to sign autographs and pose for photographs at the front of the Main Stand.